Congratulations to the Transition Year and 5th year students who received their Junior Certificate results this morning. There were nervous scenes as students opened their envelopes which contained their results and following this they all made a phone call home. 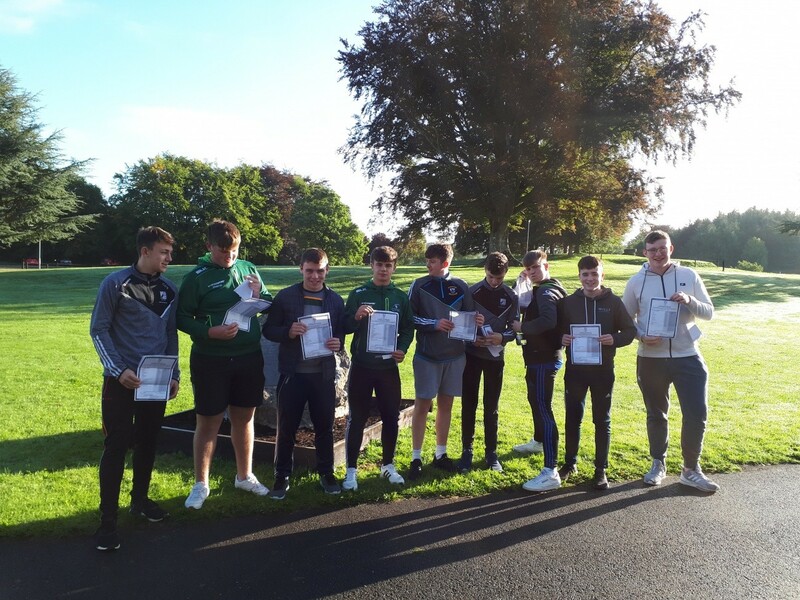 This group of students participated in the full College curriculum last year and their co-curricular events during the second and third terms included competitive rugby, hurling, athletics and in Music they performed in both the Sherry Cup and the annual school concert in UL. The new reporting format for the Junior Cycle allows the College to acknowledge each student’s full participation in all the co-curricular events as they can now record these achievements under the heading OAL – Other Areas of Learning. A sincere thank you to all the staff who contributed to the students’ learning and care over the three years of the Junior Cycle programme. Immediately after receiving their results The TY students travelled to Delphi for a three day outdoor activity programme with their TY co-ordinator Mrs. Smyth and Ms. O’Rourke.